Wanaka, beside the lake – this is where our hearts are. 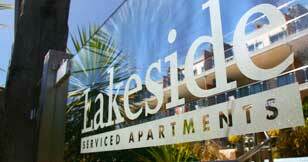 Lakeside Apartments – the only luxurious, 5-star Qualmark apartment accommodation in the heart of Wanaka – is just a stone’s throw from the lakshore. It is the perfect place to stay, a rare and romantic retreat from which you can explore the splendour of the outdoors, indulge in a relaxing holiday or concentrate on business. Be warned: the comfort of your home-away-from-home may tempt you to spend more blissful time indoors! Before you even step outside the resort accommodation, you will discover magnificent lake and mountains views from every one of our spacious, serviced-daily apartments. Within a heart beat of our doorstep, you will be enjoying fine shops and cafes or sharing your children’s joyful discovery of the nearby playground. Indulge in our spas and large, outdoor pools and BBQ area with lake and mountain views. Enjoy our outstanding house-keeping and excellent customer service at this central hotel. Please do ask our friendly, knowledgeable, local team about exploring our pristine, alpine home town, in the heart of New Zealand’s Southern Lakes. Just one hours’ drive from Queenstown, discover Wanaka and Lakeside Apartments, beside the lake; be at home in the heart of our town.